PriorityStart! 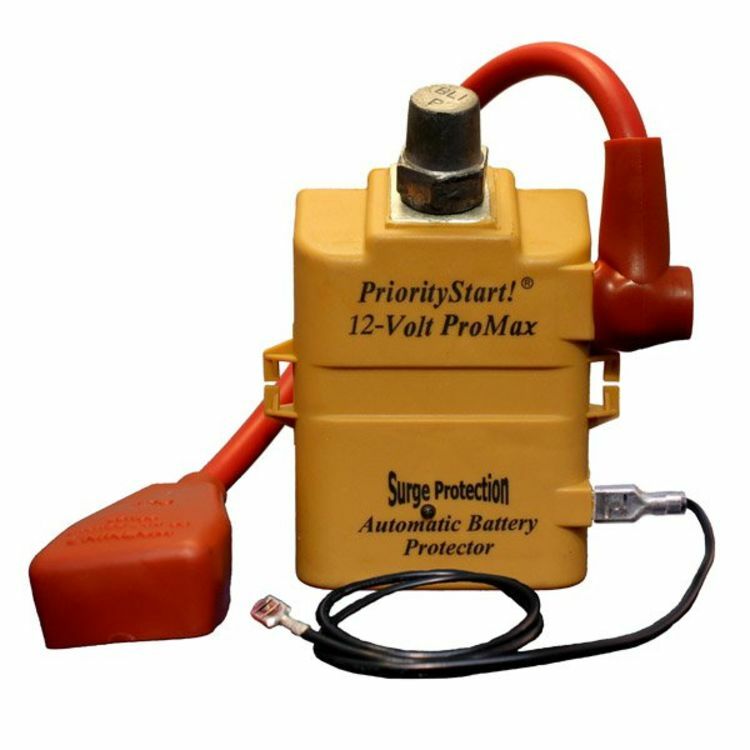 is an automatic computerized on/off switching system protecting battery voltage and starting power. If battery voltage drains below 11.7 volts when engine is off, it automatically DISCONNECTS the load. The battery voltage immediately recovers. To RECONNECT and START the vehicle: Just step on the brake pedal, activate the headlights, or use another accessory inside the vehicle, and starting power is automatically RECONNECTED! NO DEAD BATTERY! Designed to handle 1000 starting amps. No hard wiring or modifications. Transferable. Manufactured to ISO, USCG, and SAE standards. Maintenance free. Universal design on PriorityStart! works with 12-Volt top and side-post batteries. Same unit: Easily adaptable! No modifications are necessary. ProMax specially designed for all OEM or stock vehicles. Now new circuits give voltage surge "spike" protection. Do you own the PSI-12V-PROMAX? Please, tell us what you think about it. It helps us provide you with better products. Please note that it may take up to 72 hours for your review to appear.